We writers are inward creatures. There are of course the extroverts amongst us and a little bit of limelight isn’t exactly unwelcome, but for the most part the place we truly shine is in a quiet room with our fingers glued to pen or keyboard. Over seven years ago, at the tender age of 25, I joined Leicester Writers’ Club. I was at a particularly delicate stage of my writing career where I knew I’d done plenty of the quiet room, pen and keyboard stuff and now needed some of that vital feedback and criticism stuff that would hopefully lift my writing off the ground. But was I ready for the lions to shred my manuscript to pieces (as I imagined they surely would)? Not at first. For many of those first meetings I would sit quietly on the side-lines, listening carefully and diligently writing notes to make it look like I knew what I was doing. The great thing about Writers’ Clubs – and Leicester Writers’ Club in particular – is you can learn just as much from listening as you can from standing up and reading your work. By absorbing other members’ comments and their (often passionate) debates I began to decide what I agreed and didn’t agree with and as a result developed a critical mind-set. This proved invaluable in terms of taking that knowledge and being critical of my own work. But, as previously stated, we writers do like our occasional bit of limelight and I soon grew brave enough to stand up one manuscript evening and read. That first time was (I kid you not) one of the most nerve wracking moments of my life. When I stood up at that lectern my knees were literally knocking together, my paper visibly shaking in my hands. When I began reading I rushed through the words at juggernaut speed and mumbled them in such an incoherent way I was asked to please speak a little louder and slow down. I was putting my work out there; I was ready to get better. And, much to my relief, my manuscript was not ripped to pieces. There were things I needed to work on and as soon as they were pointed out, ready to work on. There was no nastiness in the feedback, no ego, just constructive criticism given from one writer in hope of helping another writer. And also (low and behold!) there were good things, amusing things, beautifully written things in my writing that I would never have acknowledged without those voices of support that came after I read. 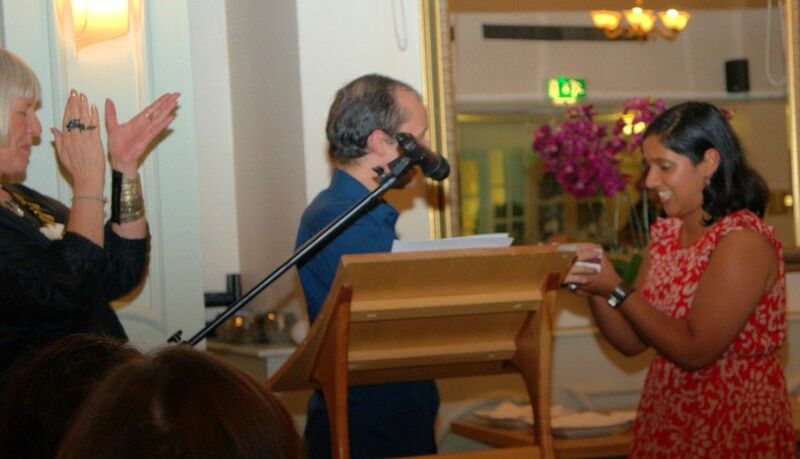 Recently I found out that I came runner-up place in the Mslexia Novel Writing Competition 2013. This in itself was brilliant news. Moreover, very soon after receiving it I was approached by the agent on the judging panel and now have my novel circulating the publishing houses of London. Would I have got as far in the competition if I hadn’t joined the club all those years ago? Would I have had the critical mind to polish and improve my work and get it ready for that next stage? Would I have been brave enough to send it out without all those voices of encouragement? Most certainly not. Writing clubs aren’t for everyone and I definitely think you need to be in the right place in your writing life to receive criticism (or it really will feel like you’re facing the lions). But for me, being part of Leicester Writer’s Club has been nothing but a positive and constructive experience. Nothing helped me more in my writing career than breathing in deeply, taking those steps to the lectern, and letting that inward creature step out.